On October 29, 2018 at 05:08 am Algerian time, Japanese nano-satellite Ten-Koh was successfully launched on the H2A-F40 launcher of the Japan Aerospace Exploration Agency (JAXA) from the site of the Tanegashima Space Center. With a mass of 23 Kg, the mission of the nanosatellite is to observe the parameters of the low-orbiting space environment and to provide data on the aging of materials. It was placed in an orbit at 613 km altitude with an inclination of 97.8 °. 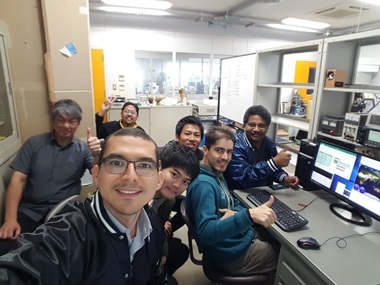 This Ten-koh nanosatellites was developed and tested at Kyushu Institute of Technology (KIT) in Japan by a group of Japanese and foreign researchers and students, including Algerian researcher Dr. BENDOUKHA Sidi Ahmed from CDS. 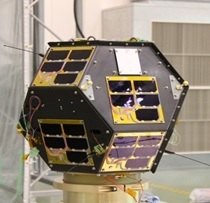 The Ten-Koh nanosatellite project is one of the areas of cooperation and exchange between the Kyushu Institute of Technology (Japan) and the Satellite Development Center (CDS / ASAL). 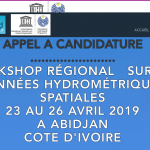 Indeed, the Ten-Koh project is closely related to the research work of Dr. Sidi Ahmed BENDOUKHA of the CDS within the Kyushu Institute of Technology where he successfully defended his doctoral thesis in 2017.
ground experiments on plasma measurements of the DLP payload to calibrate the current density in the Kyutech LASEINE chamber. Finally, he participated in all tests of the satellite Ten-koh (thermal vacuum, vibration, shock, etc). In addition, the CDS participated in the monitoring of the Ten-Koh nanosatellite during the phases of its identification and positioning, through the use of the CDS VHF / UHF ground station. 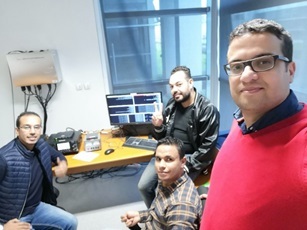 Thus, after the injection of the satellite, engineers Alsat-1N team of the CDS; Messrs OUIS Mohammed El Amine, ABED Smail and DJAMANE Fawzi; accompanied by BENDOUKHA Sidi Ahmed; participated in satellite tracking and data reception. This operation made it possible to track the satellite in orbit, record beacon signals transmitted by the latter and decode them before transmitting them to the Kyushu project team in Japan. Finally, beyond this first stage, and in order to reinforce the program of cooperation between the two institutions (CDS and KIT / Japan), several lines of cooperation are currently being explored. They concern, in particular, academic training, professional internships, and the development of satellites weighing less than 50 kg.